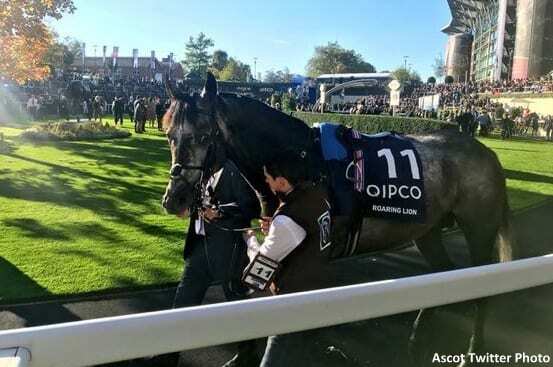 There a lot of important choices to be made by connections in the final days before the Breeders' Cup World Championships. Who should the jockey be? Which race fits my horse best? Is the horse in top physical form and working well? In today's edition of the Breeders' Cup News Minute, Scott Jagow and Ray Paulick share a few of those decisions that have come in today. Plus, a filly in the Mile with a special connection. This entry was posted in Breeders' Cup, News Minute and tagged Breeders' Cup 2018, Breeders' Cup Churchill Downs, breeders' cup classic, breeders' cup juvenile, Breeders' Cup News Minute, freddie head, Polydream, Ray Paulick, roaring lion, Scott Jagow by Paulick Report Staff. Bookmark the permalink.